“Dive into history” this Science Sunday! Don’t have time to do coral reef monitoring? Love to learn about Guam’s marine environment? For Earth Month in April, we’ll be hosting two Science Sundays. 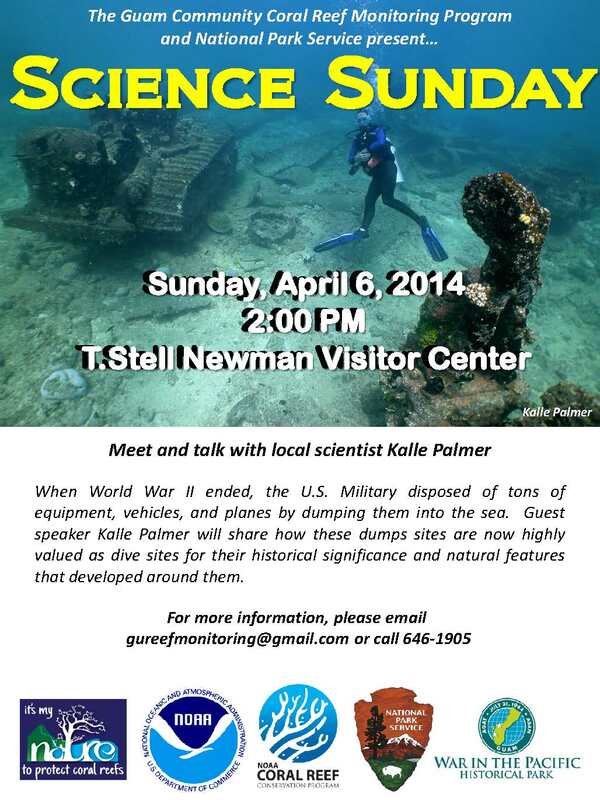 Join us this Sunday, April 6 for “Trash to Treasure” talk from guest speaker Kalle Palmer. See flyer for details!